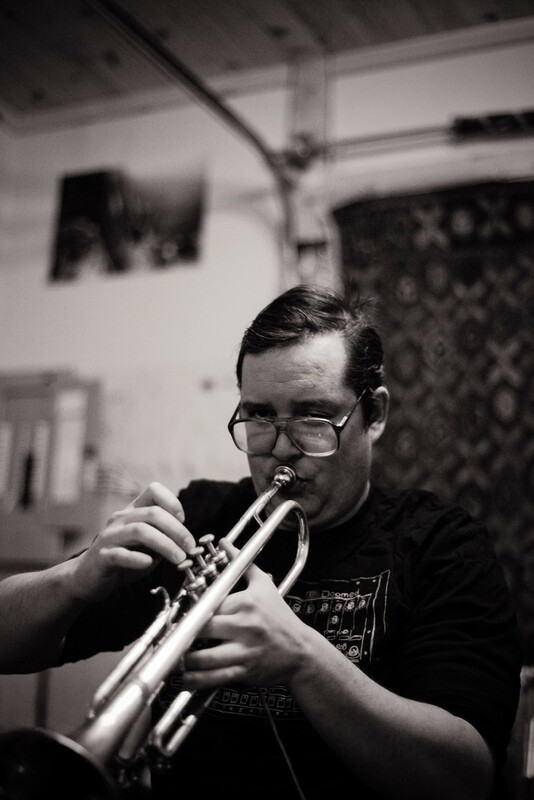 Craig Pedersen is trumpet player, composer and educator based out of Montréal. He is an musician specializing in free improvisation, and experimental music. He actively leads his own band, the Craig Pedersen Quartet/Quintet, and plays in the collaborative noise duo Sound of the Mountain. Since 2011, Craig has released thirteen albums, ranging between composed material to improvisation, through jazz, free music, country, and klezmer, in a variety of ensembles. Recent highlights of his work have included collaborations and/or performances with Joe Morris, Pauline Oliveros, Jean Derome, Joane Hetu, Lori Freedman, Nicolas Caloia, Ian Birse and Laura Kavanaugh (Instant Places), Elizabeth Millar (Sound of the Mountain), Norm Adams, Shayna Dulberger, Karen Ng, Vicky Mettler, Bennett Bedoukian and Mark Molnar, as well as recording on the soundtrack for Robert Lepage’s Needles and Opium, and performances at L’Off Festival du Jazz and FONT Canada. His method book exploring extended techniques for the trumpet, Trumpet Sound Effects, was published by Berklee Press and Hal Leonard in November of 2014.